You never know what you are going to find while out on a photo walk. 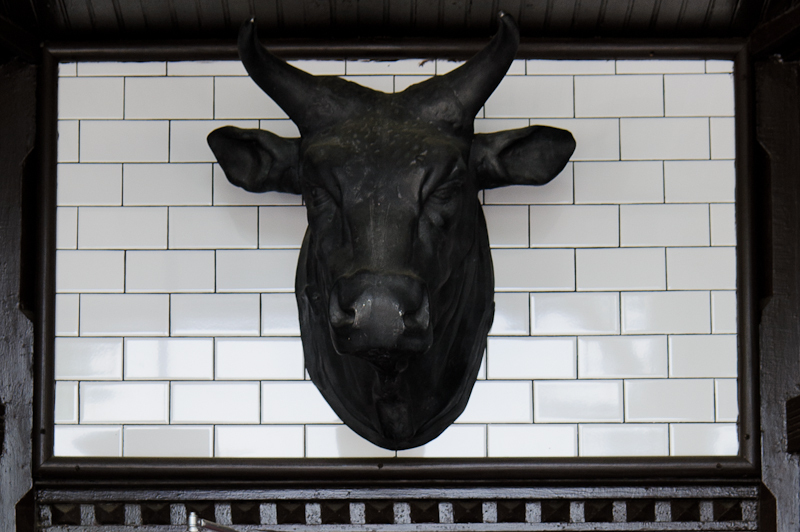 This bull head was hanging over the door of a restaurant. I’m thinking they server steak, but that is only a guess.